Wounded Times: Retired Air Force Colonel Committed Suicide After Email? Retired Air Force Colonel Committed Suicide After Email? 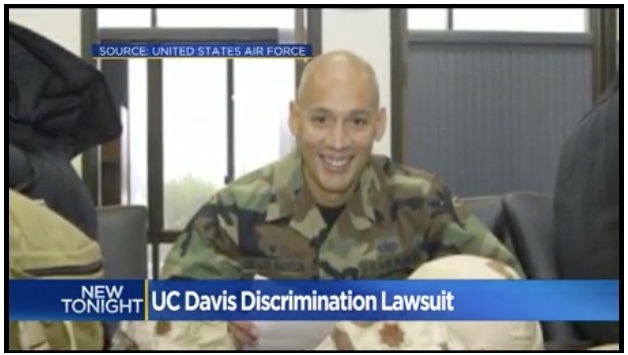 DAVIS, Calif. -- A lawsuit filed against University of California, Davis claims the school discriminated against a decorated Air Force veteran, which drove himself to commit suicide. CBS Sacramento reports the incident happened back in October 2015, but new details are just being released. After leaving the military, Col. Christopher de Los Santos took a job at UC Davis. But three months later, trouble spiraled out of control quickly during a weekend retreat with co-workers. One witness claims it was more like a booze cruise, saying Santos was misbehaving. The university launched an investigation into the alleged inappropriate behavior, and a day later, campus officials sent Santos an email placing him on leave. Santos took his own life a few hours after receiving that email.